A place like no other, Washington, DC is the capital of cool. Get ready for historical sites, outstanding attractions and a colourful culture. There are culinary surprises, bars, clubs, sports and so much free stuff to discover. Read on to find out more about everything this great city has to offer. 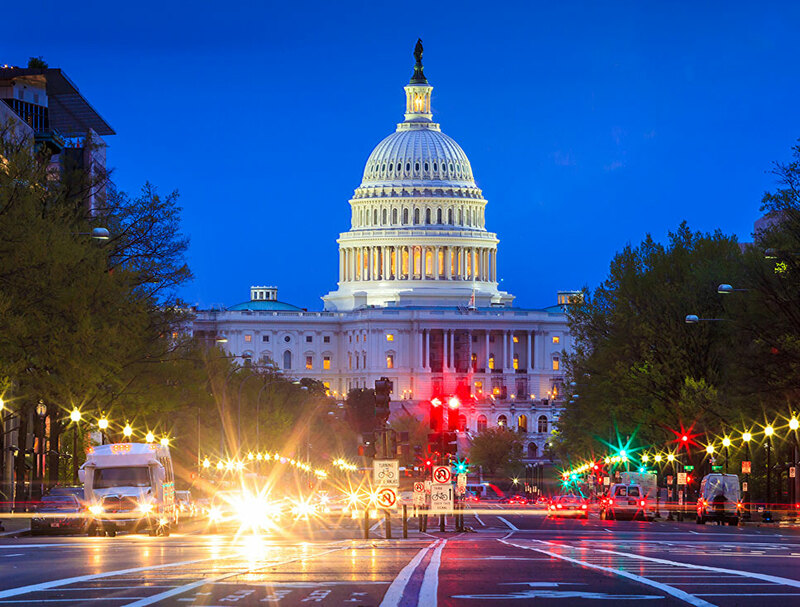 Flight time: Fly from London Heathrow to Washington Dulles International Airport non-stop with United Airlines and get your holiday off to a great start. The flight to Washington DC takes just eight hours. Climate: With sunny summer days and mild winters, this place is great to visit all year round. 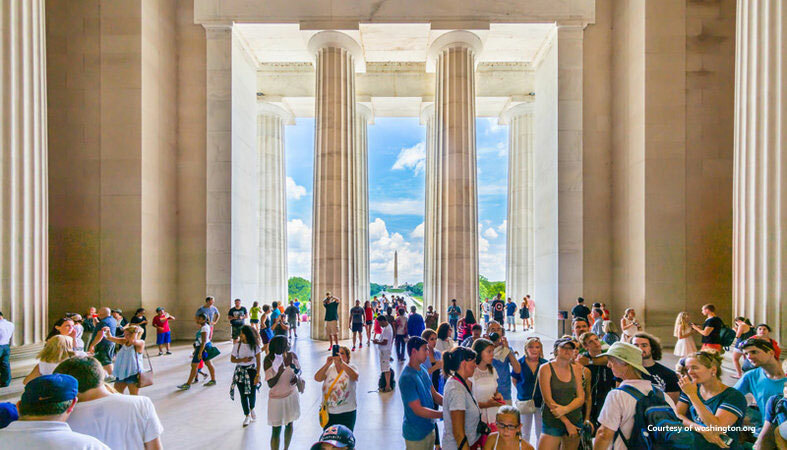 Get ready to tick all the must-see sights off your list as Washington DC is packed with monuments and memorials that celebrate the USA. With so many monuments that pay homage to the forefathers of the birthplace of the USA and the history that has shaped this fascinating country, these memorials truly celebrate what this powerful country is today. And, with all these fascinating sights in such close proximity to each other, you’ll get to know the heart of the city in no time. 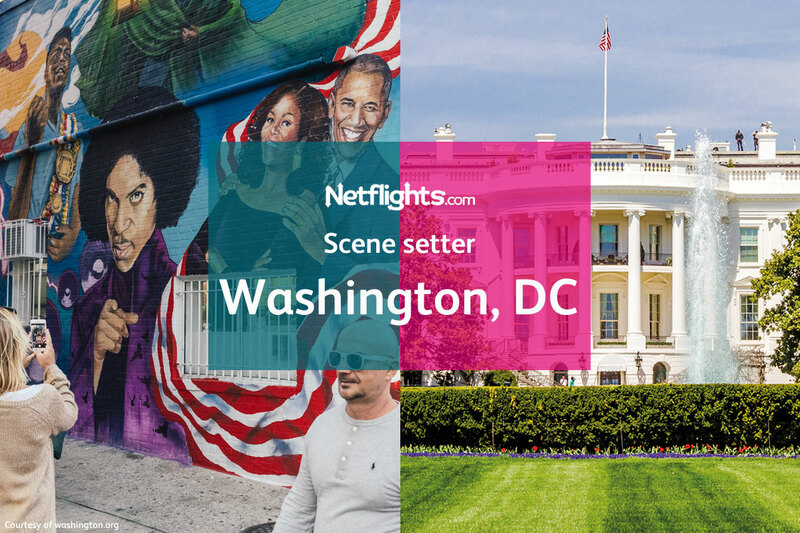 Perhaps one of the most well-known sights of the United States of America, the grassy stretch of the National Mall encompasses the iconic Washington Memorial, Lincoln Memorial and US Capitol Building. You couldn’t come to DC without visiting this place. Step into the footsteps of many before and take in this national monument that has been designed and built to honour America’s 16th President – Abraham Lincoln. For the best views, go at night. Take a gentle stroll along the Tidal basin and discover another iconic monument in Washington DC. Jefferson Memorial is the oldest and most impressive monument in the city. One of the newest monuments, the Martin Luther King Jr Memorial epitomises the legacy and struggle for freedom, equality and justice. Washington DC is also the capital of culture. From amazing arts to the must-see museums, there’s something to see wherever you turn. You’ve seen it in the news, now see it for yourself – take a tour of the White House and experience the history of a nation. We recommend that you book in advance as this tour is very popular, but don’t worry, you can always stroll around the building. One of the world’s most popular attractions, discover time and space with the most significant aviation objects. And don’t forget to try the space food! With more than a hundred thousand notable pieces, discover an extraordinary collection of paintings, sculptures, photographs and masterpieces ready for you. Did somebody say spy? We’re there… if espionage is your thing, here you’ll be intrigued! Everybody knows the best things in life are free! Come to Washington, DC and do all this cool stuff… for nothing! 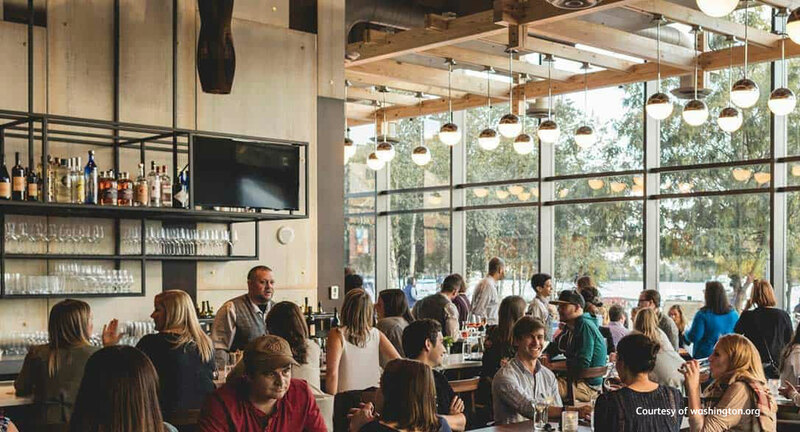 With more than 2,100 restaurants in Washington DC, you’ll have the pick of the crop. With a great choice of dining Washington DC offers a wide selection of places to eat, whether you fancy a sit-down meal, a quick bite to eat or a meal on the go, there is something for everyone in DC. With 14 restaurants holding a coveted Michelin Star, and even 2 star establishments such as Aaron Silverman’s Pineapple and Pearls, delicious dining is definitely on the menu! Make your mealtime memorable with many restaurants catering for families… if the kids are happy, you will be too! Serving up soul at Restaurant Marvin, try something different with an alfresco patio and late night dancing – you’ll see why it’s such a popular place! For the freshest of foods head on down to Eastern market for locally sourced meats, seafood, baked good and cheeses. Delicious! Looking for some action? For a day or night out with a difference, Washington DC has you covered. From sports arenas to lively clubs, there’s a venue that’s got your name on it. 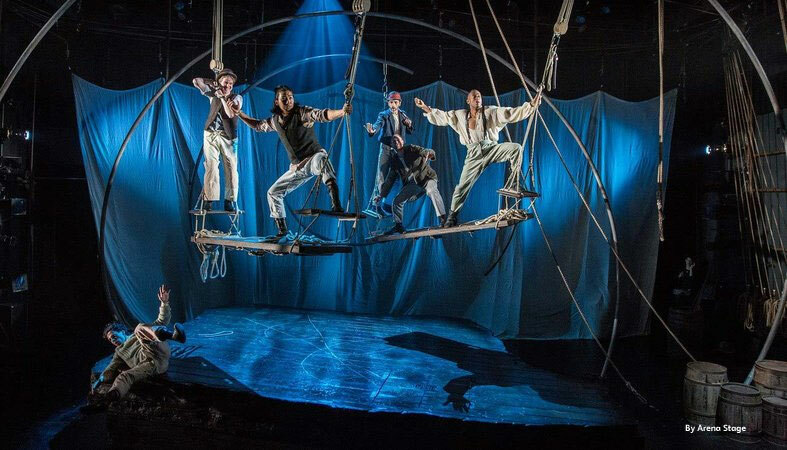 For big time acts and a great night out, book a ticket at Howard Theatre. This historic theatre oozes ambience, with international acts both old and new, you’re guaranteed a great night. If you like your music deeper, head to this subterranean hideaway for a night with a difference. Discover the latest live music and dance the night away, all at low prices. Grab the popcorn, take a chair and enjoy a movie under the stars at Bethesda’s Woodmont Triangle… for free! Get there early, enjoy dinner in the many restaurants onsite then relax with a classic movie… the perfect evening! 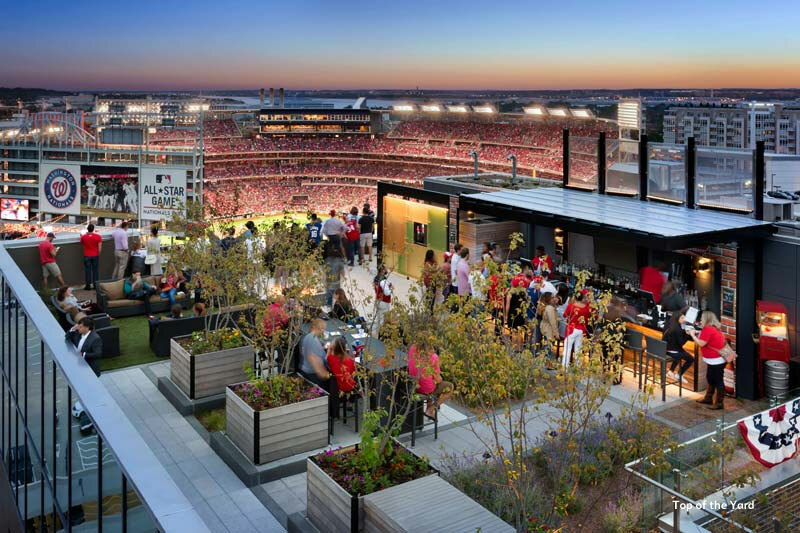 Washington, DC is packed full of sporting legends – the hard part is deciding which to go and watch – Redskins, Nationals, Wizards, Capitals, DC United, or Mystics, the decision is yours! Ready to discover Washington, DC for yourself?